Many actors say the best compliment they can receive is when someone tells them they disappeared into a role so completely, the person watching forgets they’re seeing an actor. 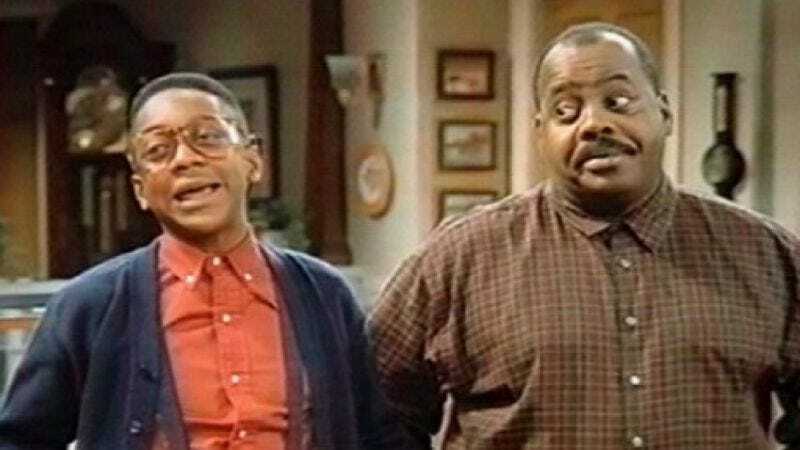 And by that standard, Reginald VelJohnson might be one of the greatest television actors in the history of the medium. As he tells The Hollywood Reporter in a new interview, people continually assume he’s really a police officer, and not just someone who played a police officer for years, until actor and role blurred together, altering the very fabric of reality itself. “I don’t know what it is about me and this cop thing, but I get a lot of cop offers,” VelJohnson says, presumably while cleaning a fake service revolver and drinking coffee from a novelty mug reading “World’s Best Cop Dad.” “Everyone always assumes that I’m someone on the force, but as long as they are paying me, I will play a cop until the day I die.” Not helping (family) matters is the fact that VelJohnson’s most noteworthy role outside of the ABC sitcom was also as a police officer in Die Hard, part of a resume that includes such iconic roles as: a cop on Chuck, a cop in the TV movie One Of Her Own, a cop in Turner & Hooch, and a cop on Kojak. There are also lots of doctors and reverends in his IMDB profile, but that’s just acting. That’s not being a cop, which Reginald VelJohnson clearly is, so hire him as such.